Home / Small Business Toolkit / What is PASBA? PASBA stands for the Professional Association of Small Business Accountants. It was formerly known by the name of the National Association of Small Business Accountants. This organization was founded in 1982 with the idea of strategically organizing small business accountants and bookkeepers to operate in a more efficient manner. Over the years, these accounting professionals would meet at conferences and events to discuss the rigors of their work. They soon realized and agreed that many small business owners were neglected when it came to their accounting and tax preparation chores. Sure, larger businesses have an entire department of professional accountants and bookkeepers but what about the small business owner who may only employ a few people? This is the group of people for which PASBA was formed. PASBA believes that when a small business owner has a trained professional to do his or her bookkeeping and accounting, then he is much more likely to succeed. It stands to reason that if you are lying awake at night wondering if youâ€™ve properly prepared IRS tax documents like Form 941, then you wonâ€™t be your best the next day at work. As a small business owner, itâ€™s important for you to concentrate your time and efforts upon the area of your expertise. If itâ€™s sales, then you should be out selling; not in the office trying to figure out how to use your accounting software. Small business owners agree that their work is much easier when they employ a professional service. PASBA is here to help you locate the one thatâ€™s right for your business. We take all the guess work out of finding an excellent accounting and bookkeeping service that fits into your budget. Our service is open to you 24 hours a day, seven days per week, so if youâ€™re up late, burning the midnight oil, you can visit the PASBA website and find a professional bookkeeping services or an accountant who will partner with you for ultimate success in your small business. Stop lying awake at night worrying about your payroll, accounts receivables and payables. 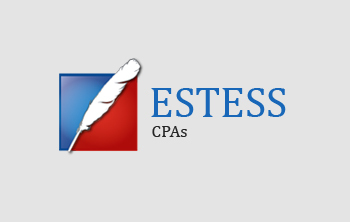 Let a PASBA Pro take over the accounting chores at your small business. We are committed to your success.